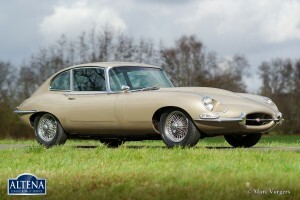 Jaguar E-type 4.2 Litre 2+2 series 1½ FHC, year 1968. 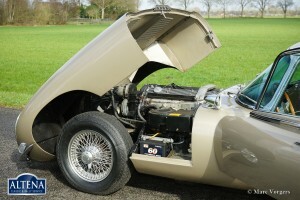 Chassis number 1E78336BW. Colour ‘Golden Sand’ metallic with a black leather interior and black carpet. 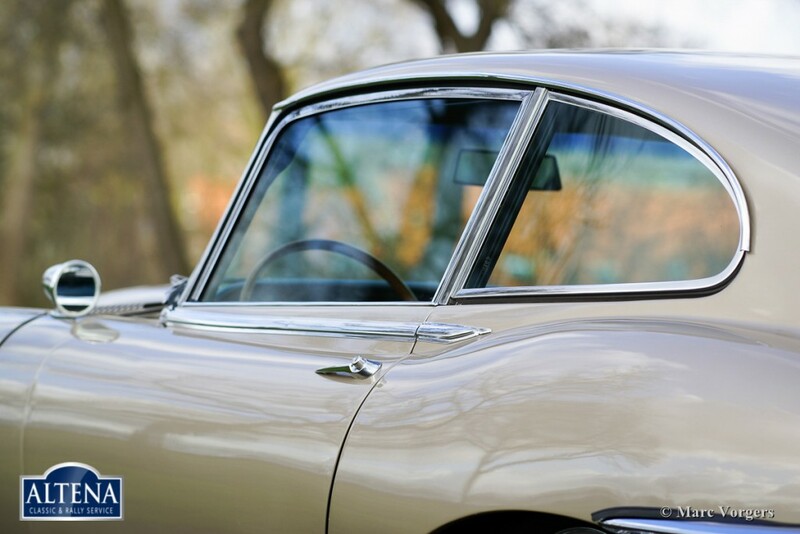 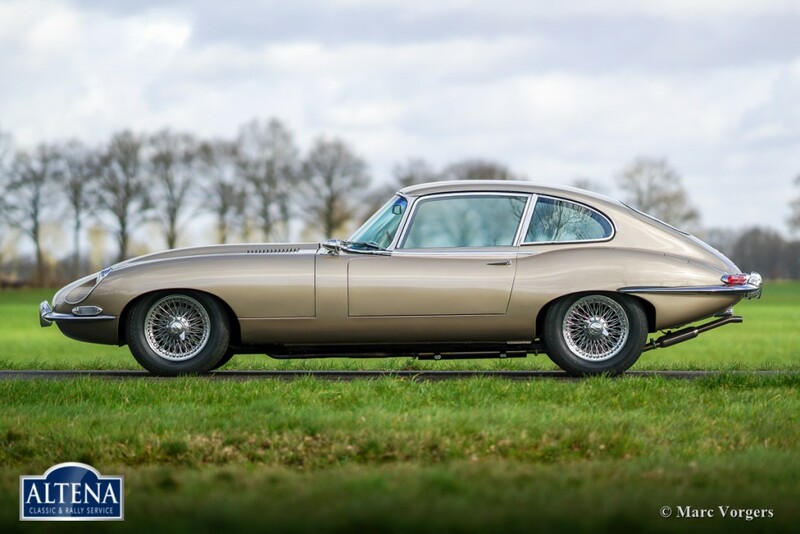 This beautiful Jaguar E-type Fixed Head Coupe (FHC) 2+2 was imported from the USA in the year 2014. 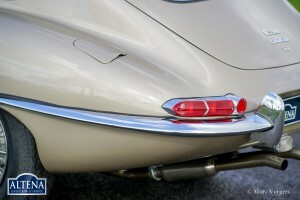 Ther American ‘title’ is present. 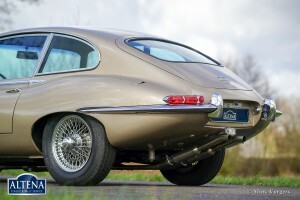 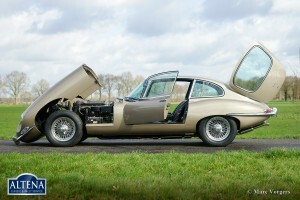 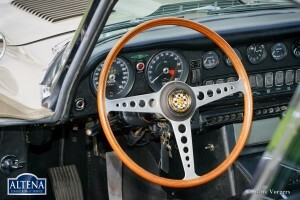 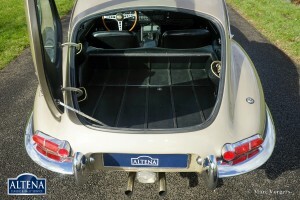 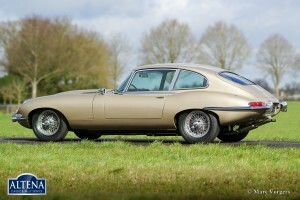 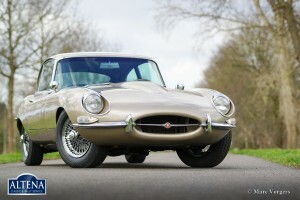 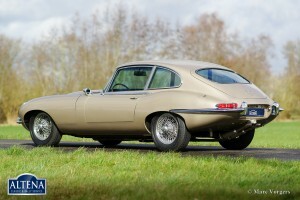 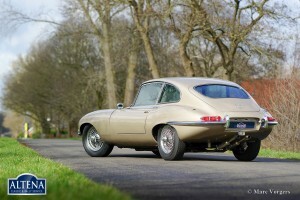 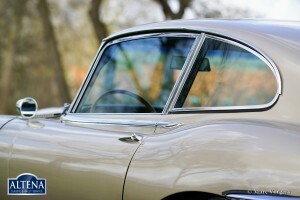 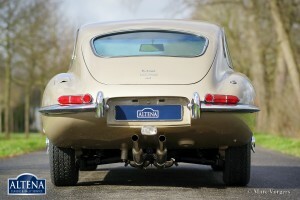 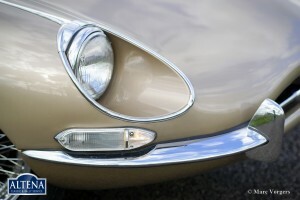 This Jaguar E-type is in good condition and the car drives perfectly. 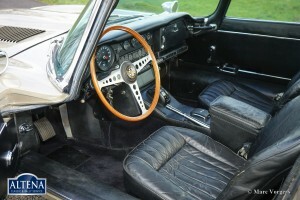 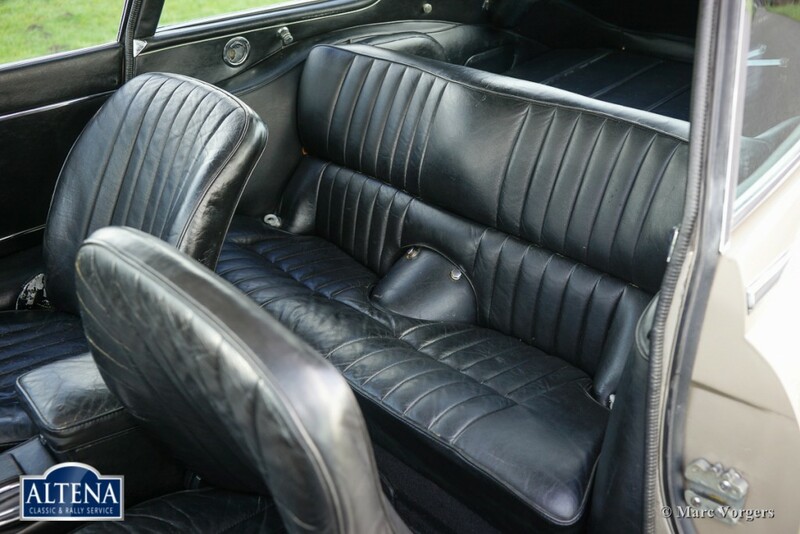 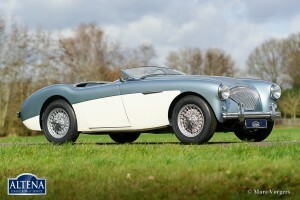 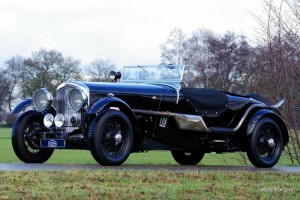 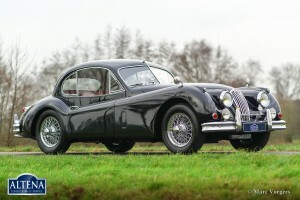 The Jaguar is factory fitted with an automatic gearbox. 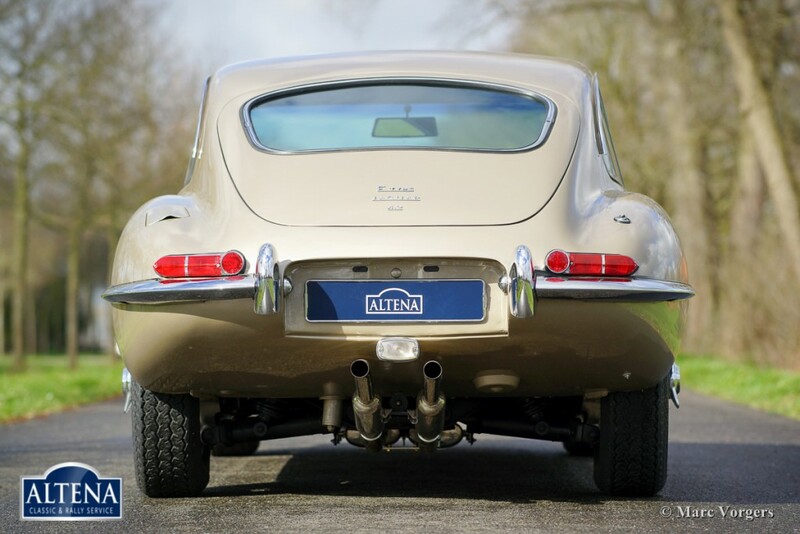 In 2014 a new Stainless Steel exhaust system was fitted and in 2015 the automatic gearbox has been overhauled. 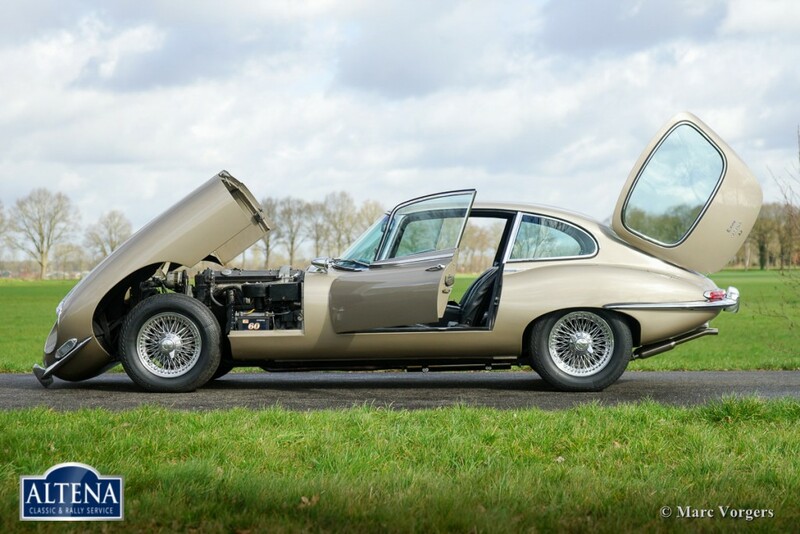 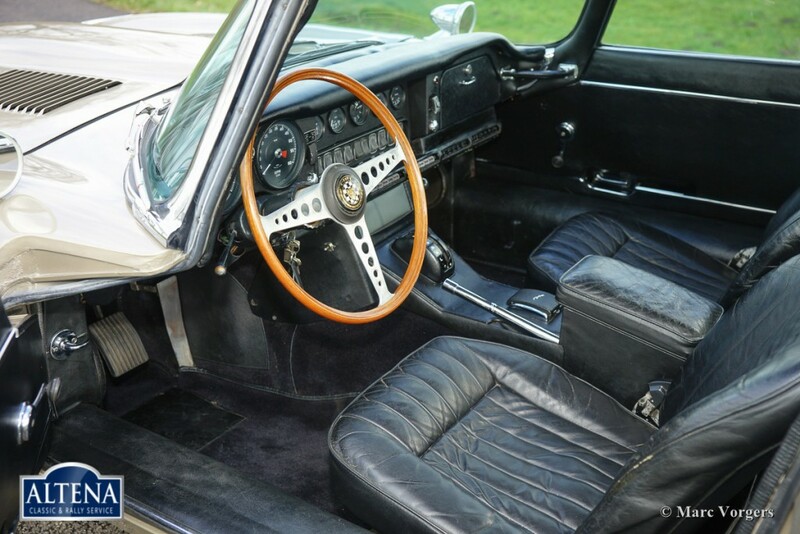 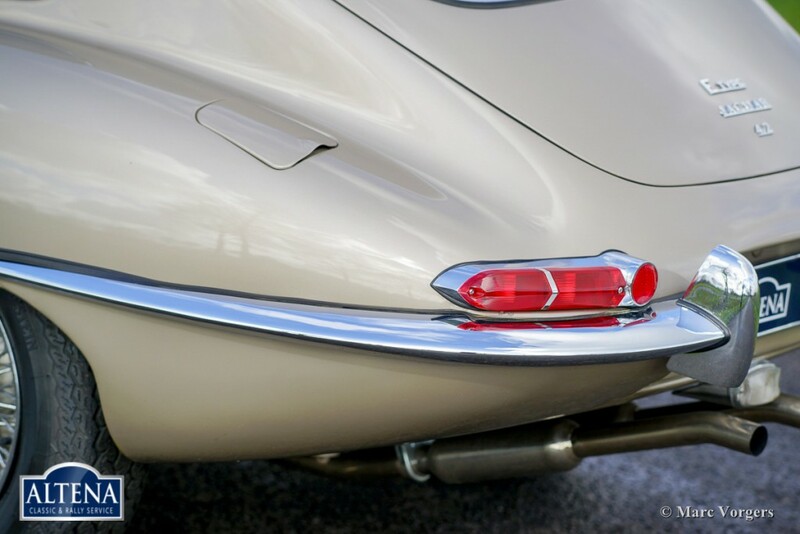 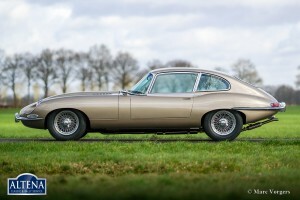 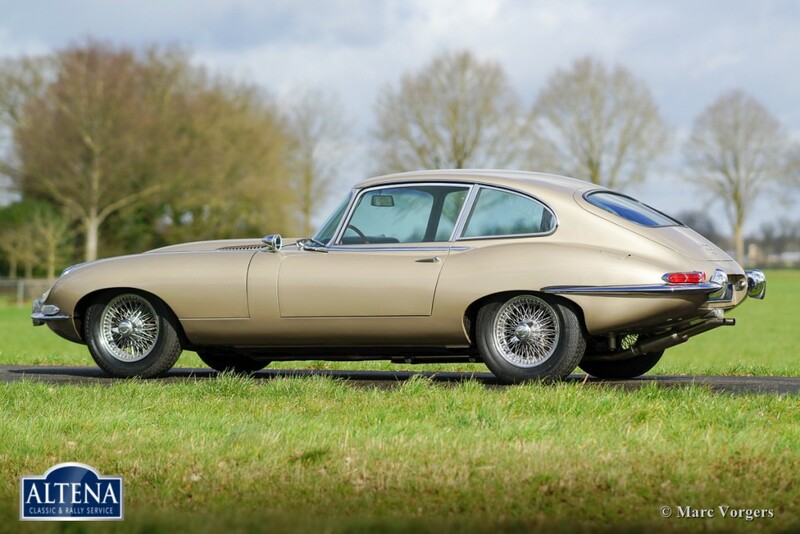 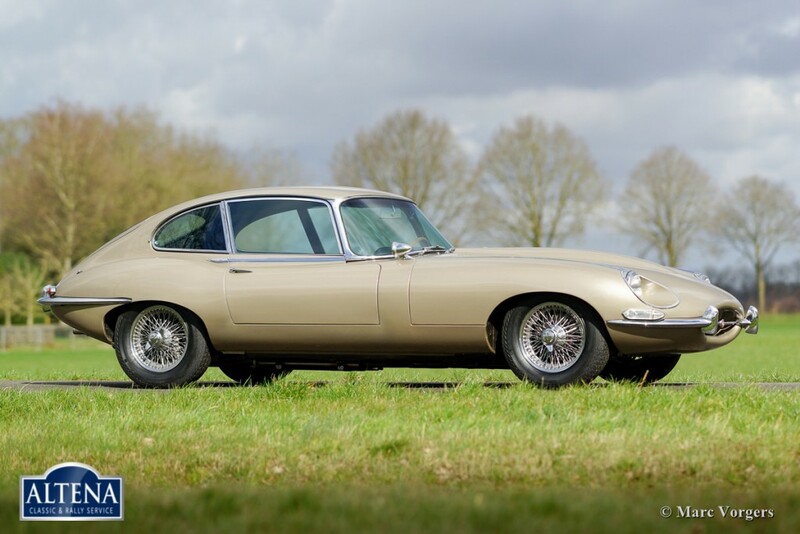 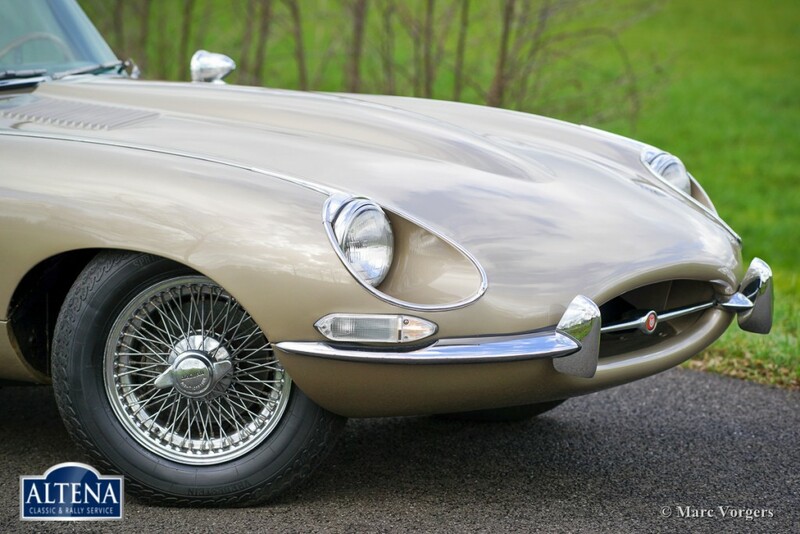 This Jaguar E-type 2+2 FHC is a relatively rare series 1½ model featuring series 2 upgrades under the skin but with the exterior appearance of the beloved series 1, the open head lights and some interior details identify the car as being a series 1½ model. 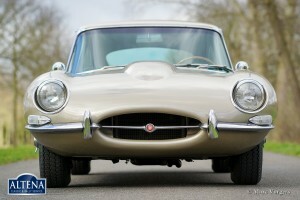 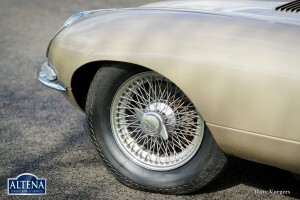 Like every Jaguar E-type this is a very beautifully styled car and an impressive machine!